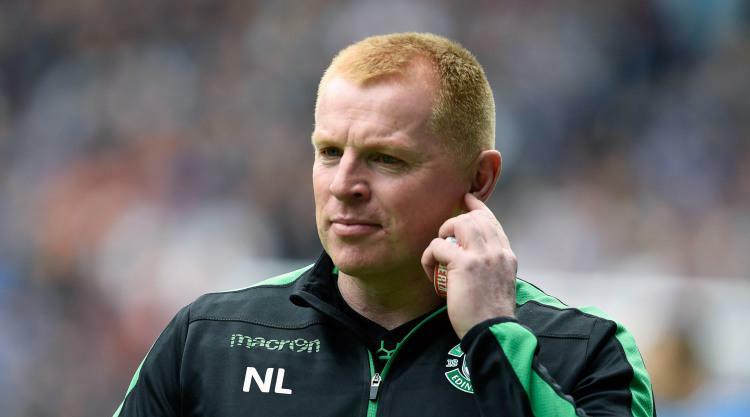 Hibernian manager Neil Lennon has said there is no place for sectarianism in football and politics. The former Celtic boss was the mystery guest at Alex Salmond's Edinburgh Fringe show on Sunday, where he shared his experiences about the press, abusive behaviour from fans and mental illness. Lennon said: "There is no place for sectarianism in football and politics. It should not be in the stadium." He also explained that Gordon Strachan once described the difference between managing in England and managing in Scotland. He said: "Dealing with the English press is like swimming with dolphins and dealing with the Scottish press is like swimming with sharks." Lennon opened up about his experience with depression while playing with Celtic, when he was told to treat the condition as an injury. He said: "I was 29, at the peak of my career. What did I have to be depressed about? "It wasn't until the club doctor came to see me and told me I had clinical depression. "He told me to treat it like an injury, I wasn't 100%, but I'll recover in five weeks." Salmond called for an end to sectarianism and quoted The Corries' song Scotland Will Flourish. He said: "Let the Scots be a nation proud of their heritage / With an eye to the future and a heart to forgive / And let us be rid of those bigots and fools / Who will not let Scotland live and let live." Speaking after the show, Salmond said: "It was incredibly brave of Neil to discuss his experiences with myself and the audience. "It's not an easy thing to talk about to anyone, so for him to be able to talk about it to a room of 350 people he's never met takes an incredible amount of courage and deserves an incredible amount of respect."